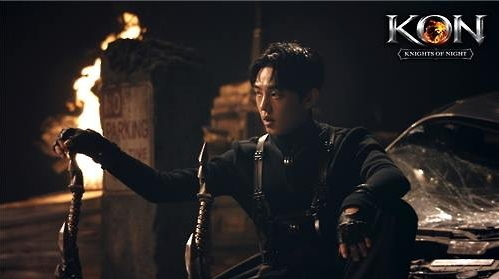 Actor Yoo Ah-in has been picked to endorse the role-playing game “Knights of Nights,” Netmarble Games announced Tuesday. The game company released a video interview with Yoo on Monday, where the actor describes “KON” as a stylish dual-action RPG. “(The game’s) splendid scenes and stylish action are quite outstanding and it is also interesting to have a dual-action system where two separate characters compete and grow together,” he said. “Actor Yoo’s stylish and freewheeling image perfectly fits ‘KON,’ Netmarble’s first grand-scale RPG of the year,” the game developer said. The company will conduct a closed beta test on March 11-13 where applicants can play the game and find remaining bugs before its official release. “KON” is set to be officially released in Korea on Google Play and Apple’s App Store at the end of March, while the international release is planned for the first half of this year.